Silver Lined Aquamarine Bugle Size 3 Seed Bead.These beads come in a blue colour and are silver lined, giving them overall shiny light blue look. 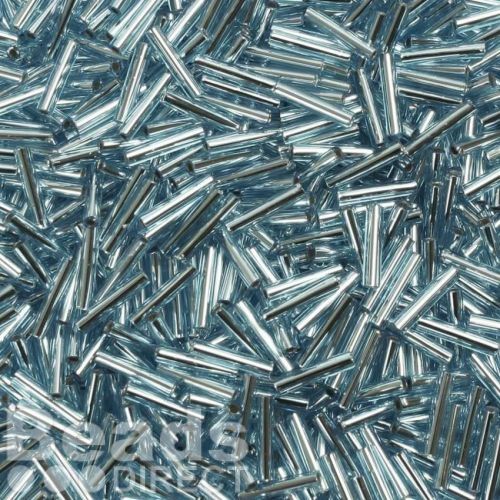 They are tube shaped and 9mm in length, making them perfect as spacer beads. These Japanese made Toho beads are great quality beads. Commentperfect colour, though still not ready to use them.